Bestsellers | We are working to add more titles everyday. 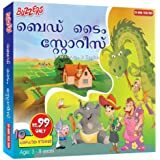 Also explore Malayalam Books. Buy online from your choice from a wide variety of genres such as action, drama, comedy, romance, crime and thriller, horror and more. 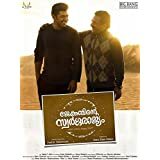 Check out the Malayalam Movie store to find out about the most popular movies from your favourite Malayalam actors and directors. 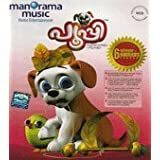 You can buy these movies in DVD and VCD formats. Thinking about getting a copy of your most awaited release? Watched a movie, liked it and want to own a copy of it? There is no better place to go to than our collection. To make your choice easier, our customer reviews section provides interesting insights about latest movie releases, TV Bestsellers, old movies and more. 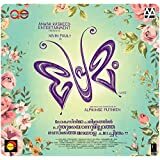 Shop online to own a copy of blockbusters movies like Pathemari, Charlie, Ennu Ninte Moideen, Loham, Premam, Oru Vadakkan Selfie, Bangalore Days, 100 Days of Love, Drishyam and Salt Mango Tree from your favorite Malayalam movie stars like Mammooty, Mohan Lal, Prithviraj, Dulquer Salman, Nivin Pauly, Fahadh Fassil and Biju Menon.